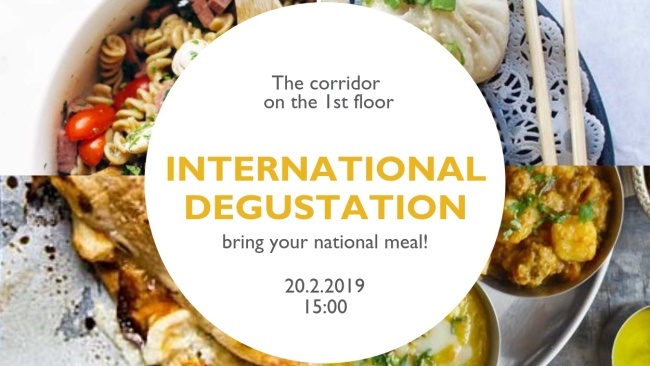 International degustation is a meeting event of the Erasmus students coming for the summer semester. The task of the students is to bring a cooked meal typical for their home country. The students will be divided into groups according to their origin and tasting the respective cuisines helps them to get to know one another. In the end there will be a voting of which of the meals tasted the best. The victory group will be rewarded with a sweet package.